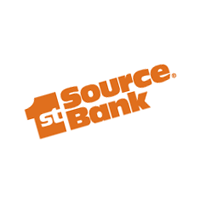 1st Source Bank operates 80 banking centers in 18 counties in the northern Indiana-southwestern Michigan area. Its small business offerings include business savings and checking accounts, lending and leasing, treasury services, retirement plans, and more. We searched for 1st Source Bank reviews and found that it has an A+ rating by the Better Business Bureau. Ready to get started with 1st Source Bank business checking? Apply now. 1st Source Bank operates 80 banking centers in 18 counties in the northern Indiana-southwestern Michigan area. You may view its branch locator to check which locations are closest to you. 1st Source Bank also offers business loans and lines of credit, leasing, Small Business Administration funding, commercial real estate financing, and wealth management. Although it offers personal savings and money market accounts, it currently does not have business savings and money market account offerings. Find out more about its small business offerings on its website.